By the time I've got around to finishing and posting this entry in my blog, the Oscars will have been and gone for another year. To be honest, I'm even less interested than usual in this year's ceremony - from looking through the list of nominated films, it definitely seems that we haven't had a vintage crop this year. Of course, I haven't seen all of the movies in contention, but I was only modestly impressed by the likes of The Artist and The Descendants, and I felt War Horse was a bit of a clunker. In comparison with last year, when genuinely great films like The Social Network, Black Swan and Inception were up for Best Picture, this year's contest looks rather irrelevant. To make matters worse, quite a few of my favourite films of the last year or so have been overlooked. 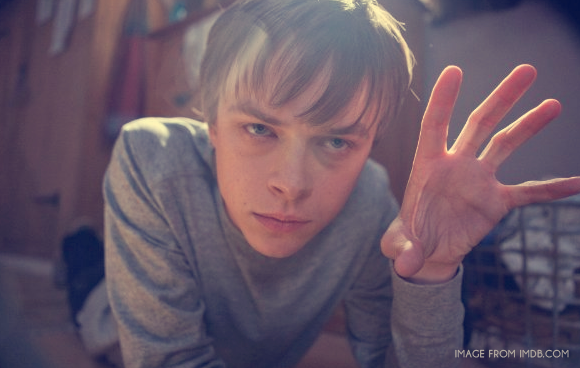 Where were the nominations for Margaret, Senna, Drive, We Need To Talk About Kevin or Hanna? I demand answers! After enjoying Fire in Babylon (the story of the West Indian team's rise to greatness) a few weeks ago, along comes another cricket documentary, all about the England's glorious summer of 1981. 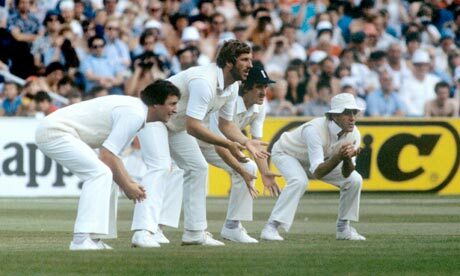 The story sees the team, lead by Ian 'Beefy' Botham and Mike Brearley battle to an improbable victory from a seemingly hopeless position in a remarkable Ashes Test Match at Headingley. The story is well narrated by Tom Hardy, and we get to hear from a number of key figures who were there at the time, from both the English and Australian sides. Director James Erskine was also responsible for England football documentary One Night In Turin (reviewed here: http://kvhmovieblog.blogspot.com/2011/11/that-was-week-that-was-21-27-november.html), but thankfully, he seems to have really scaled back his irritating and distracting habit of splicing in recently shot close ups into the TV footage recorded at the time. This is probably not a film which will interest those people who don't have much time for the sport, but it's essential viewing for England cricket fans, and for me, acted as a much needed tonic after the current team's Test series defeat against Pakistan. 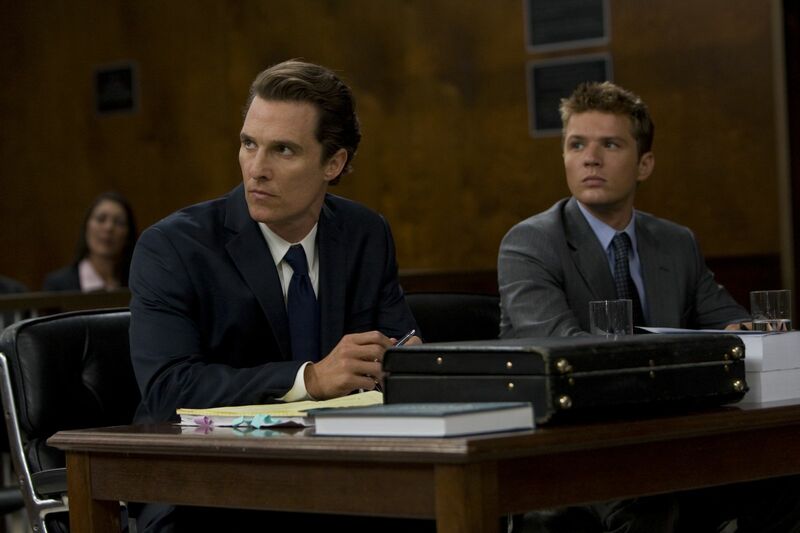 In which Matthew McConnaughey plays Mick Haller, a slick and sleazy L.A. defence lawyer who takes on far more than he bargained for when he is called upon to represent a wealthy young man accused of sexual assault. To be honest, I was a little wary when I first heard about this one - McConnaughey has had a pretty bad track record over the last ten years or so, appearing in mostly lame rom coms and weak action movies. Since Dazed and Confused, you can pretty much count the number of good films he's appeared in on the fingers of one hand, even if you've had the misfortune to have had that hand mangled in some sort of unfortunate agricultural accident. However, I saw that this one had received some decent reviews, including from The Guardian's Peter Bradshaw, so decided to give it a fair shake. I'm glad I did - it's no masterpiece, but it is a gripping thriller, full of strong performances from the likes of Marisa Tomei, William H Macey and John Leguizamo. I'm not entirely sure that the plot would stand up to close scrutiny, but it all comes together in a stirring conclusion, with Mike Haller working his magic both inside and outside of the courtroom. Verdict: not guilty. This recent Spanish horror movie, directed by Guillermo Del Toro protege Guillem Morales, sees the familiar cinematic trope of the 'blind woman in peril' revived again. Belen Rueda plays the Julia of the title, an astrophysicist who suffers from an irreversible, degenerative illness in her eyes which is exacerbated by stress. The happy life she shares with her husband is thrown into turmoil when she learns that her twin sister (who is also afflicted with the same condition) has committed suicide. However, Julia is convinced that her sister would never have taken her own life, and decides to investigate - an action which puts her in mortal danger... For me, this film was almost a successful horror/ murder mystery film. It certainly has quite a bit going for it - in particular, Belen Rueda is very good in the lead role, establishing a sympathetic and believable character. The film is also successful (for the half or so anyway), in creating a great deal of suspense from having a shadowy figure lurk just outside of Julia's (restricted) field of vision. At this point, it isn't clear whether that figure is real, supernatural, or just a figment of Julia's imagination, which all adds to the mystery. Unfortunately, the film is let down by a number of implausibilities in the plot, the most egregious of which occurs at the mid point of the film (inor spoilers ahead). Julia has just had an operation to restore her sight and is required to spend a couple of weeks wearing a thick bandage around her eyes . At this point in the proceedings, her sister and husband have both apparently committed suicide, though Julia is sure that a mystery man is actually responsible for killing them. Rather than staying put in the hospital for the duration of her recovery period, staying with a trusted friend, or even returning to the modern apartment she shared with her husband, she chooses to spend the time, alone, in the creepy old house where her sister lived - the very same house in which her sister was found hanged in the basement! Julia's actions here seem designed solely for plot purposes - to get her into a situation where she will be blindly stumbling around the house, menaced by an unseen assailant. This, together with a flat and disappointing ending (after the villain has been revealed) mean that the scary and intriguing opening section to this film is rather squandered. A film which brings a new and interesting take on the superhero movie, a genre which has been all but exhausted over the last few years. The gimmick here is that it's a 'found footage' origins story; the entire film is (supposedly) shot on handheld cameras by the characters themselves. The set up sees three Seattle high school students develop telekenetic powers after touching some strange, glowing crystals which they discover underground. Our three potential heroes are Andrew - a shy and introspective teenager who is physically abused by his stepfather, Steve - a cocky, exuberant high school athlete and Matt, a Schopenhauer quoting would be intellectual. The kids' personalities reflect the way in which they use their new found superpowers, with the more secure Matt and Steve seeing only boundless potential, while Andrew grows to realise that he has a way in which he can wreak vengeance on those who have wronged him. The story arc is refreshingly dark, for a superhero film, with its theme of the corrupting influence of power reminding me of The Death Ray, the excellent graphic novel by Daniel Clowes. I should also say that for a film produced on the cheap, the special effects look terrific, easily the match of the CGI work used in bigger budget comic book pictures like Thor or Captain America. Only a couple of minor gripes with this one - firstly, in the early going, I found the central characters' over the top enthusiasm in demonstrating their powers (and whooping and shouting to one another about their feats) to be a little grating. Secondly, as all of the footage was supposed to have been shot by a camera held by one of the characters at the time, at times it felt like video cameras were shoehorned into scenes where it didn't really make a lot of sense for them to be present. Nevertheless, this is an innovative and original superhero film which sets the ball rolling for a year in which we're going to see some massively hyped comic book adaptations, including The Avengers, The Dark Knight Rises and The Amazing Spiderman.